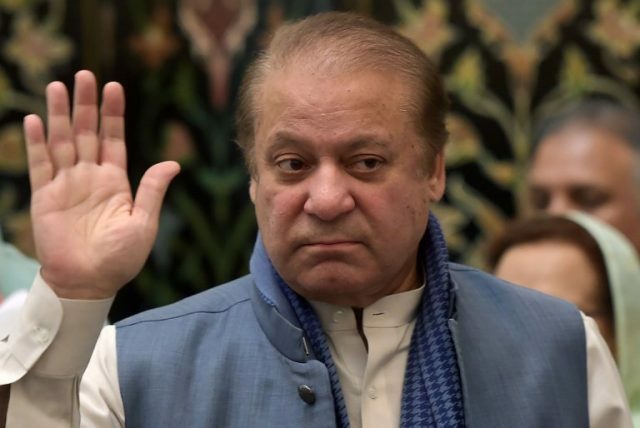 The hearing of the Al-Azizia corruption reference against former PM Nawaz Sharif was adjourned till August 1 as his lawyer, Khawaja Haris, did not show up at the court on Monday. As the hearing began at the accountability court, judge Muhammad Bashir summoned Haris’ assistant lawyer. “Where is Khawaja Haris?” he asked. “When will he come?” The assistant lawyer said that he was on the way. The judge asked him about the date of the appeals hearing. Nawaz and his daughter and son-in-law have appealed against the accountability court’s decision in the Avenfield case in the Islamabad High Court. The assistant lawyer said that the hearing is on Tuesday. As Haris did not show up after a break in the hearing, the judge adjourned the court. The next hearing is on August 1.